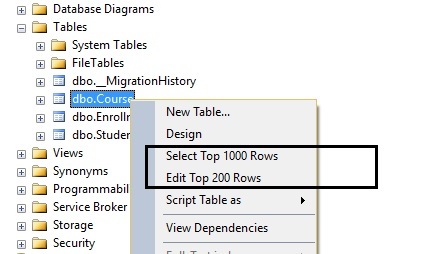 In SQL Server Management Studio (SSMS), the quickest way to open or edit a database table’s content is by right clicking on the table and choosing Edit / Select. But, how many of you are aware that SQL Server Management Studio’s settings allows you to change the default value? 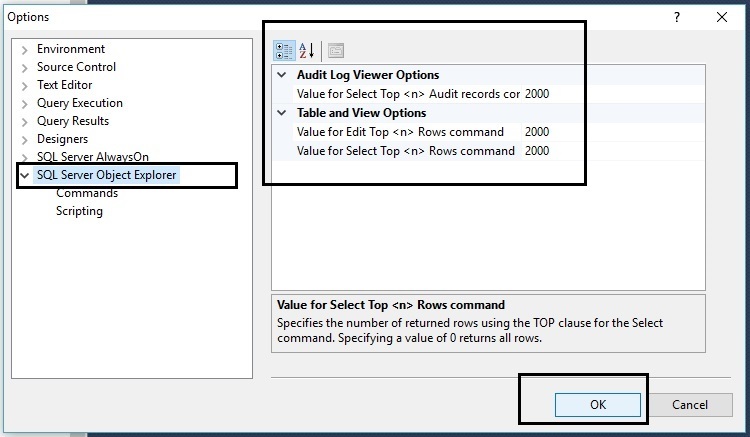 One of the main reasons this setting was added to SQL Server Management Studio is to prevent unresponsiveness of the system if the table consists of large amount of data. 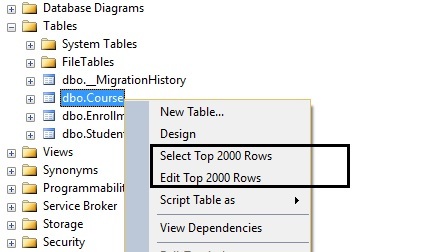 By default in SSMS, you can select 1000 Rows and Edit 200 Rows. In the Options dialog box, highlight SQL Server Object Explorer and change the default values to any number as per your requirements. In this example, we are changing the value to “2000”. Based out of New York, USA, Lavish Kumar is a full stack web developer by profession and founder of Striving Programmers, a trusted community for developers that offers a wealth of articles and forums to assist individuals with improving their software development skills. He is passionate about writing tech articles and building great web applications. Lavish specializes in custom web applications, e-Commerce platforms, CMS implementation and CRM systems. The Orlando Code Camp is coming up this weekend, Saturday, March 30th and will be held at Seminole State College. We’re a proud to be a repeat sponsor for the Orlando Code Camp. We are sure that everyone going will have an amazing time! If interested in going, you can register to attend here! 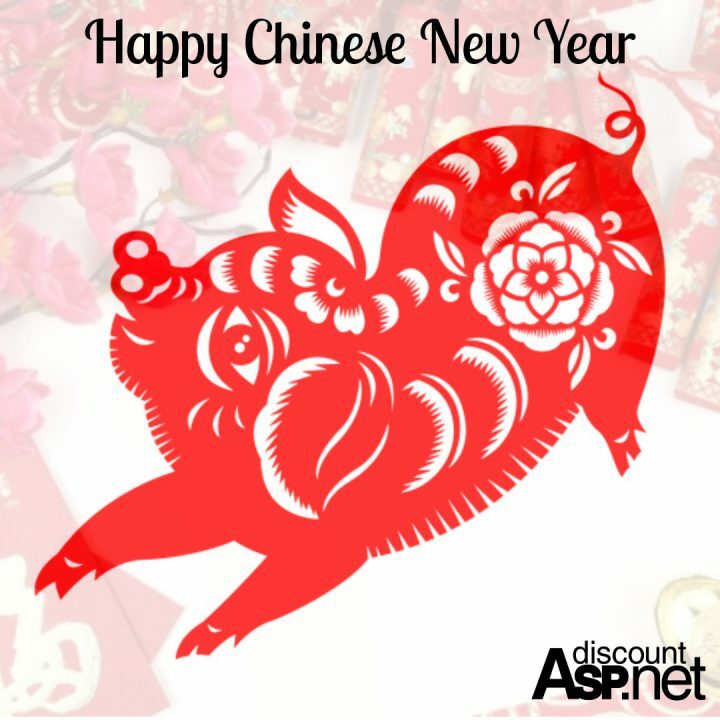 Visit DiscountASP.NET to learn more about our ASP.NET hosting services and our Community Sponsorships. Google+ always was two steps behind in the social media space. Google’s late to the game entry into the social media tidal wave always seemed an afterthought with both Google and users. Early evolutions of the service always felt more of a correction to the service than an enhancement. So to hear Google announce that they were shutting down Google+ was only shocking in that it took so long for them to finally get to this point. Google+ wasn’t Google’s first attempt at social networking, but it was the most widely pushed by the company. Launched in June 2011 Google+ was aimed squarely at the rising influence of Facebook and Twitter. Google built Google+ to tie your social actions to other properties within the Google network. Meaning instead of sharing that YouTube video on Facebook, you would share it on Google+ thus keeping everything within the Google network. Google+ and it’s “+1” feature also showed positive ranking affects within search indexing on Google and Youtube, meaning sharing and giving a “+1” to something could possibly help with your search ranking. Google would regularly deny that G+ had any search ranking influence, but SEO and Marketing experts would point to their own analytical data to contradict Google’s claims. But Google+ was late to the game. Facebook and Twitter were both firmly established, in what was already becoming a crowded social media space. Google+ never gained enough ground to justify regular usage from users or businesses. So when Vic Gundotra, the person who championed the creation of Google+, left Google in April of 2014 it was seen as the beginning of the end for Google+. In October of last year Google announced the consumer version of Google+ would be shutting down August 2019. Then in December 2018 Google moved up the shutdown to April 2, 2019 when they reported that a Google+ API update exposed customer data for 6 days before it was discovered. Many of you know that we were early adopters of Google+, with our own Google+ pages and even experimenting with Google Hangouts. 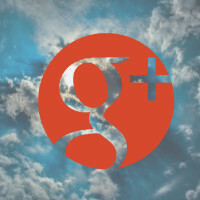 Google+ at one time seemed like it might become a social network for more of the tech focused crowd and we saw that reflected in many of the interactions we had with users on Google+. But over time it became clear that Google+ was an afterthought within Google and with many users. If you haven’t noticed yet, we have slowly removed many of the links to our Google+ pages and the Google+ integration within our forums. The Google announcements in October and December helped to validate what we were seeing, that Google+ was heading to that great social network in the sky. 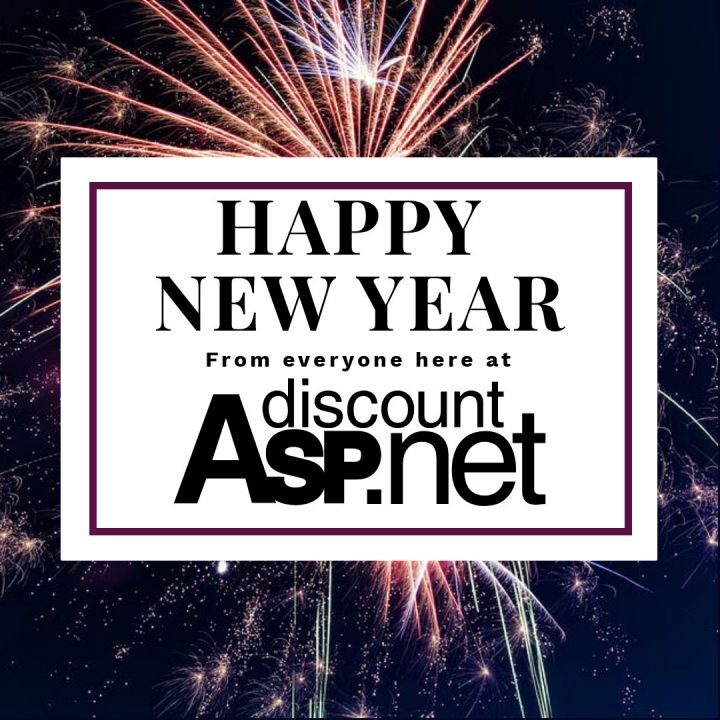 Visit DiscountASP.NET to learn more about our ASP.NET hosting services . A concept that is not often talked about, much less understood, is the Monthly Billing Date on a hosting account. What customers may not realize is that the Monthly Billing Date affects all aspects of charges on an account. It affects when statements are generated, when services renew, the pro-ration of services ordered in the middle of a billing cycle, the charge for a plan change, and more. So what exactly is the Monthly Billing Date on an account and how is it determined? The Monthly Billing Date on an account is the monthly date on which billing activities are based. The date is determined when the account is first activated. Once set, the Monthly Billing Date cannot be changed in the billing system. Let’s say we have an annual hosting service ordered on January 17th. The Monthly Billing Date will be the 16th of every month. The initial charge for the hosting service will be for the period from January 17 of the current year, through January 16th of the following year. If the hosting account was ordered on the 22nd, then the Monthly Billing Date would be the 21st. What happens on dates affected by changing month lengths? Accounts ordered on the 1st still have their Monthly Billing Date set to the 31st, even if there is no 31st in the previous month. So accounts ordered on March 1st, July 1st, October 1st, etc. have a Monthly Billing Date of the 31st. So how does the billing system handle the Monthly Billing Dates on months that do not have that date? In other words, how are February 29th, 30th or 31st, June 31st, September 31st, etc handled? Our billing system simply groups them to the last day of the month. E.g., All accounts with billing activity in a non-leap year February along with a Monthly Billing Dates of 29th, 30th and 31st are handled on February 28th. The simplest scenario is if the customer only has the base hosting plan on the annual billing cycle. Here, for an account with Monthly Billing Date of January 16th, the annual hosting fees will be charged every year on January 16th. If the billing cycle is quarterly, the hosting renewal fees are charged on the 16th of every three months after the initial signup. What happens with Addons and plan changes? When can I get a statement (for my records or accounting department)? Let’s go back to our example of an annual account which renews every January 16th. If a new MS SQL database is ordered on April 5th, how much will the charge be? The charge will be pro-rated from April 5th of this year, through to the account’s next renewal, January 16th of the next year. At $10/month, the charge will be approximately $91.00. The statement for the charge will be available on the next Monthly Billing Date, which will be April 16th. We hope this post didn’t make your head explode and answers some questions regarding how our billing system works. Remember, if you ever have any billing related questions, please send them to the Billing team. To get some first hand experience with our billing system and to get awesome ASP.NET hosting services visit DiscountASP.NET and sign up! Another year flew by…. Here is my annual Top 10 list for 2018. We launched Windows 2016 hosting with IIS 10.x in our US-based datacenter. If any customer wants to move to Windows 2016, just reach out to our support team and we’ll move your site. We updated our server support for .NET Core 2.0 and .NET Core 2.1. Because there are so many minor versions, we put together a knowledge base article that lists the .NET Core versions that are currently supported on our webservers. For the versions listed in the knowledge base, you can use Framework-Dependent deployment. If you are using a .NET Core version that is not listed, then you can upload your application using Self-Contained Deployment. We are offering Office 365 Business and Enterprise Plans for our US-based cutsomers over at our cloud hosting brand, Everleap.com, and our service includes technical support. If any DiscountASP.NET customers are interested in Office 365 subscriptions, let our technical support team know. If you have existing Office 365 subscriptions and are unhappy with the support you are receiving, you could consider migrating your Office 365 subscriptions over to us and get support from our support team. Reach out to our support team in interested. The new EU General Data Protection Regulation took effect in May 2018. This new regulation is a lot tougher than prior regulations and imposes more costly penalties. That is why it’s a big deal and we all saw a LOT of activity around customer privacy around the time the GDPR took effect. We also updated our policies and procedures to adhere to the principles of the GDPR. With the assistance of our Privacy Management Solutions Partner, TrustArc, we successfully renewed our certifications for the EU-US and Swiss-US Privacy Shield Framework. With the GDPR coming into effect in May 2018, it is fair to ask why we would bother renewing these certifications. Because the GDPR is so new and it’s implementation into real-life practice is still evolving, we are aware of no official certification. In other word, no company out there is currently willing to put themselves at risk for legal GDPR compliance exposure on behalf of their partners. However, there are official certifications for the Privacy Shield Framework so we decided to renew our Privacy Shield certifications this year to officially demonstrate our commitment to our customer’s privacy. 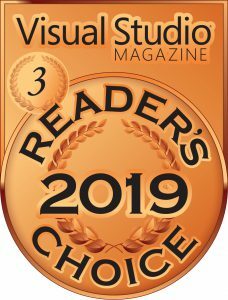 We won the 2019 Bronze Award in Visual Studio Magazine’s Readers Choice Poll. And we didn’t even know that we were nominated! Visual Studio Magazine informed us at the end of 2018. What a great way to end the year! Over the years, we have quietly hosted some fully-managed Private Cloud environments (separate from our shared hosting platform and cloud hosting platform) for a few partners but in my Top 10 Accomplishments list for 2017, I made a public mention of these services. Over the past year we’ve seen many customers whose business had outgrown DiscountASP.NET or our Everleap platform and/or needed more services than webhosting. For these types of customers, we can build custom hosting environments and manage their business IT infrastructure, providing our high level award-winning support – which could include consulting, infrastructure right-sizing, DBA services, customized backup solutions, high-availability environments, and server and application monitoring. If you are outgrowing DiscountASP.NET, have mission critical applications, and/or need more than traditional webhosting services, then reach out to us and we can discuss your needs and how we can help. Every year we devote some resources to renew our Microsoft Partnership status. In 2018, we renewed our Microsoft Partner status with the Silver Datacenter competency. Over the past 15 years, we have supported the developer community through sponsorships and complimentary hosting. Here are some of the sponsorships we participated in during 2018 – Houston TechFest 2018, SoCal Code Camp, Orlando Code Camp, Pittsburgh GiveCamp, SW Ohio GiveCamp, and Dallas GiveCamp. We also provided sites for Microsoft MVPs and MVP Reconnect members. If you run a developer event, usergroup, Microsovt MVP, or MVP Reconnect member, please feel free to reach out to us. The past couple years has been a challenge for our staff as we moved our physical office twice into temporary office spaces, while we worked on securing a more permanent space and built out the new space. The build-out took a lot longer than we anticipated but we finally finished moving into our new office space. We look forward to not having to deal with the disruptions associated with moving. We wish everyone success in the new year! This is nice way to end the year. I am proud to announce that DiscountASP.NET won the Bronze Award for the “Web Hosting” category in Visual Studio Magazine’s 2019 Readers Choice poll. It’s nice to know that even after 15 years of offering ASP.NET hosting, our services are still resonating with developers. Here is a BIG THANK YOU to all who voted for us and thank you for your continued support!